From the moment we arrived to our departure, Pita Maha left us breathless. The view is beyond what I could have imagined, high up in the jungle with sweeping, uninterrupted views. The staff were exceptional and so friendly and helpful. The infinity swimming pool was a highlight. Our 2 bed villa was incredible, with comfy beds and all the amenities you could ask for. The shuttle bus was great and we took advantage of that most days. I would absolutely stay here again. 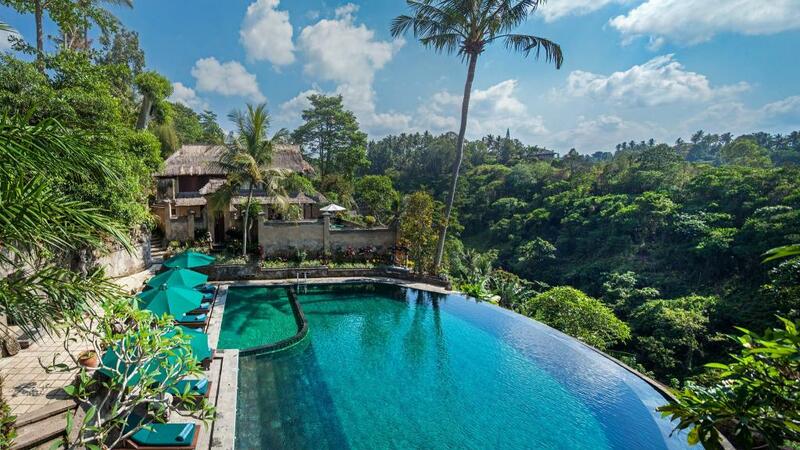 Traditional Balinese style accommodation in lush valley setting. Absolutely beautiful and peaceful hotel, with friendly and attentive staff. I wouldn't recommend for anyone with mobility issues, as lots of steps and on a steep site. Also, I don't think it would be the best choice for a family with young children, it seems to be geared more towards adults, especially couples. I loved it and can't wait to return. More than we expected. The villa was just amazing and we loved the outdoor bathroom. So peaceful and relaxing . The infinity pool view was picture postcard. We truly didn't want to leave. Planning our next stay.